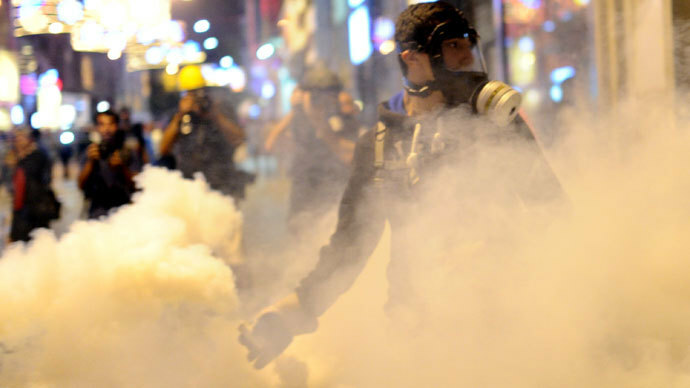 Turkish police have cleared Istiklal Avenue, firing water cannon and tear gas at hundreds of protesters as they gathered to march to Gezi Park. The park has been a cradle of anti-government unrest for weeks. Demonstrators have been protesting against a recently imposed law which blocked the authority of the Union of Chambers of Turkish Engineers and Architects (TMMOB) from approving urban planning projects. 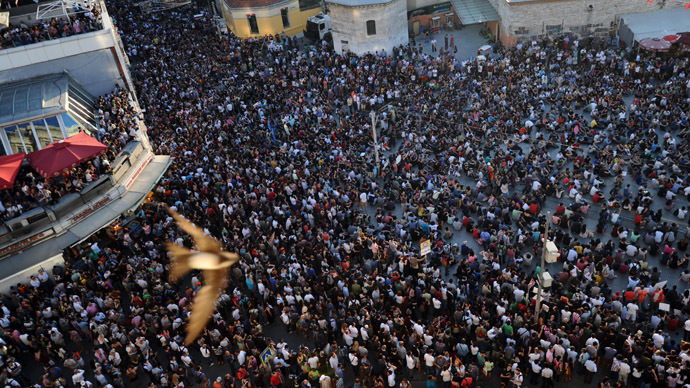 They gathered at Istiklal Avenue to march to Gezi Park, which is located a short walking distance away. As police approached the crowd and asked them to exit the area, some of the protesters refused to leave the street. Riot police then responded by using tear gas and water cannon. 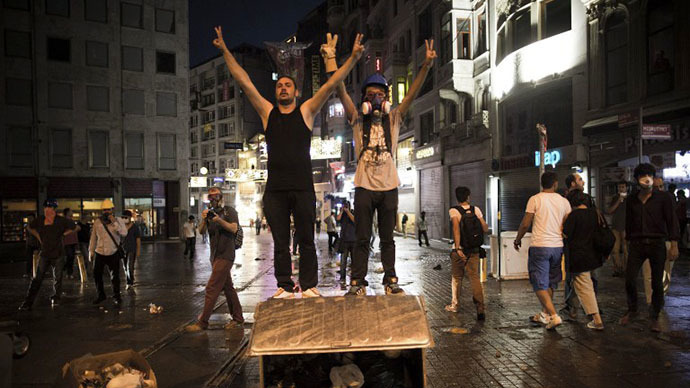 Police blocked the entrance into Taksim Square, but some protesters tried to break through and reach the area through smaller nearby streets. 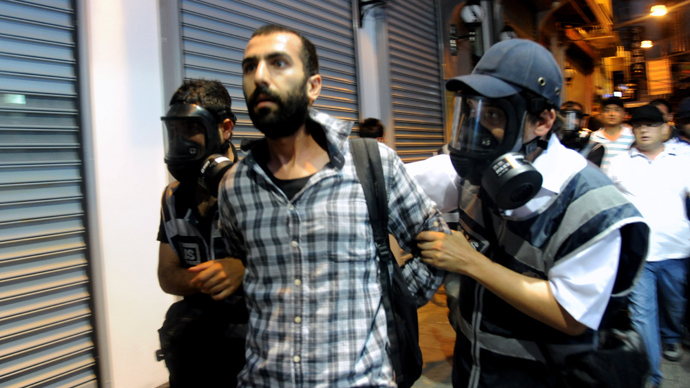 Witnesses say police also blocked the entrance to Taksim Hospital. The entrance to Gezi Park has also been barricaded by law enforcement. Police have reportedly used water cannon to shoot colored chemicals in order to disperse protesters, according to locals. 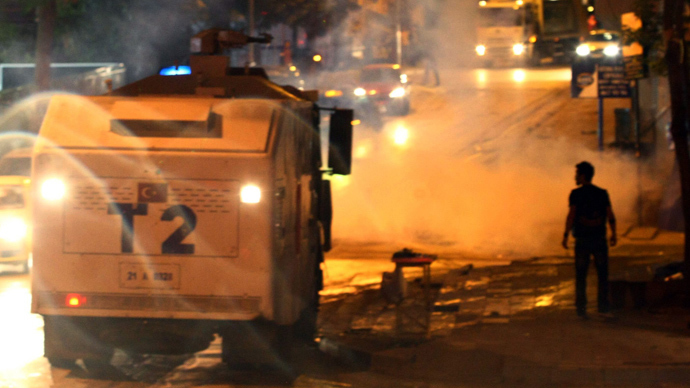 Twitter user @TaksimGazete tweeted that police have pointed water cannons at apartments located above the protests. TMMOB members also staged protests in Ankara on Saturday, with architects and engineers believing the bill – which was passed by parliament this week –to be part of a government vendetta. Earlier, TMMOB opened a lawsuit against plans to redevelop Istanbul's Gezi Park. A court has since cancelled the redevelopment project, although authorities can still appeal against the ruling.